I've been having a devil of a time getting Inkscape to export PDFs cleanly and there don't seem to be very many answers out there on all the various wikis and tutorials. In particular, transparencies are a bit of a crap-shoot - sometimes the transparency will disappear and sometimes it'll be made into a solid block. I've tried fiddling with the save-as-PDF settings in Inkscape and I've tried printing to a PDF using CutePDF with less than satisfactory results. Is there some method of exporting my file - or some method of creating my file - that I can use to get predictable results? This is actually the command that LyX uses to prepare SVG images for use in LaTeX. I have used PlantUML to generate SVG, which then goes into PDF. Here's a screenshot of the SVG in inkscape, which has pure vectorial representation (including fonts). Actually this has been asked and answered here for linux users. You need to install librsvg2-bin. I'll just add that you will need to fit page to your svg otherwise it will be truncated. 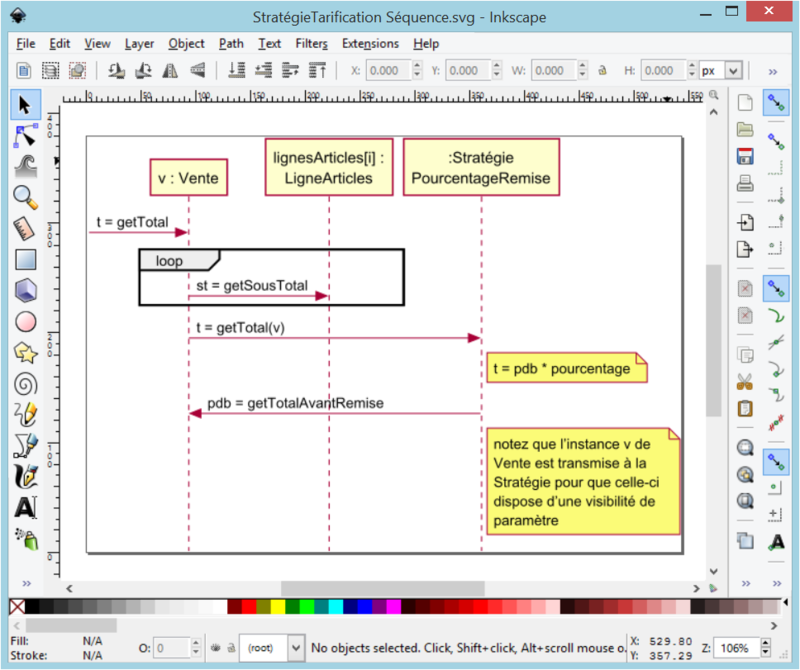 Within Inkscape: File -> Document properties -> Select your svg objects -> fit page to selection. Here you can choose to save the file as PDF, PostScript or SVG. Are you trying to export to .PDF to keep the editing capabilities? Otherwise, if you're trying to share an image with someone from Inkscape, save it as a .JPG or .PNG (if a translucent background is needed). On a Linux operating system, I export to PNG then use the convert tool to convert it to PDF. I love using Inkscape to draw - it is much more intuitive than Illustrator and produces very professional results. To get around this, I followed the directions for producing press quality figures found at this link. 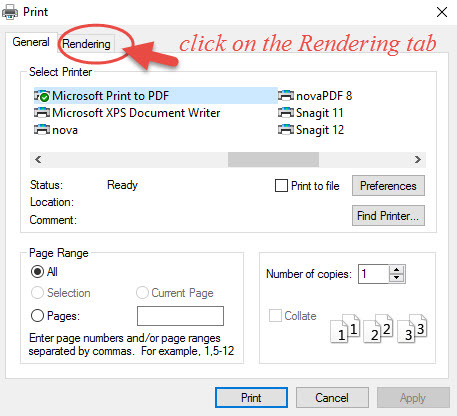 These step by step instructions show you how to print to a PDF with embedded text and press quality settings. I did have difficulty printing to pdf for some of my larger figures (only random portions of my figure would end up in the pdf, which was very frustrating!). To circumvent this problem I grouped all aspects of my Inkscape figure and shrank down the overall size. For some reason this worked really well and I obtained nice looking pdfs for these figures. 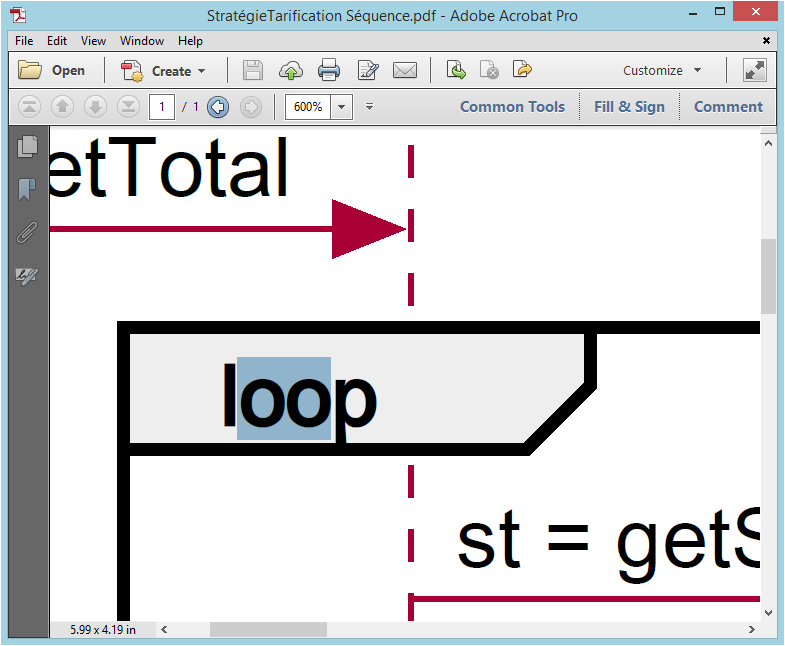 Another option is to cut the figure in half (if possible) and print two pdfs. These can be combined in Adobe Acrobat Professional (older versions are available for download at this link. Click on "Create PDF", Choose "From Multiple Files" and select the pdfs you want to combine. These will show up as individual pages in the pdf document. To combine them to a single page go to File --> Print Under Page Handling change Page Scaling to Multiple pages per sheet. Then you can customize how many pages you want per sheet. Click OK and your 2 PDFs will now be combined into a single page. I hope this information is of help to those of you with strict requirements for publication quality figures. It’s been years since I had any problems with transparency of Inkscape-generated PDFs and if I had, those turned out to be a problem of the PDF viewer (or in one case: of an esoteric printer), not of Inkscape. Thus I would say that using a new version of Inkscape should fix such issues. That being said, since Inkscape 0.47 (from 2009), there is the option Rasterise Filter Effects for PDF export, which should rasterise all those filters (for example blur) that are not supported by the PDF format and keep everything else vectorised. It is very simple. Save your file/selection as pdf. I am using Inkscape and routinely store SVGs into PDF. Stay away from filters, and opaque settings as PDFs (or should I say InkScapes export to PDF) does not handle this feature very well. I instead use color scales instead of opaque levels to soften colors directly on the palette and avoid the filters altogether. I know this is cumbersome and limits your abilities of what you can do. But exports looks fine if I follow these rules. 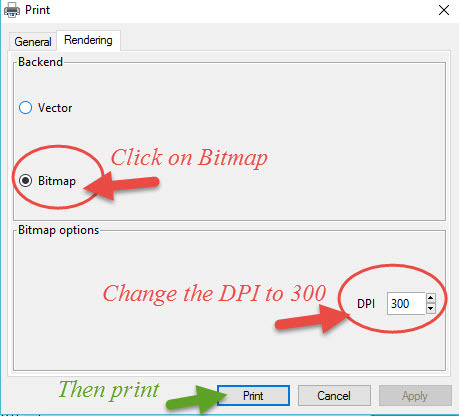 Select Bitmap in the Rendering tab and choose the desired resolution. Select your PDF printer in the General tab. Choose "FoxIt Reader PDF Printer" to export file as a PDF. If you are converting it for sharing purposes then export it as png. In the files tab there is a seperate option for exporting in as png. It will save you from a lot of trouble. If you have already set the page size on document properties (make sure your elements fit into the page) > go to print preview. Here you can save it as a pdf and also print it in the desired size without a loss of resolution. Try using the Snipping tool that comes with Windows 7. If it's not already pinned to your task bar you will find it under,All Programs,Accessories. Looks like a pair of scissors. That will save it as a jpeg, then open the jpeg and print with the cute PDF. I saved my document (including gradient layer over image and image with transparency) as JessyInk zipped PDF. Set the DPI and Save. In the Zip file you will find the PDF file as supposed to. How can I trace the edge of a svg file using inkscape without rasterizing the image and re-vectorizing it?